One of the UK's largest English departments, renowned for world-leading research which informs our high quality innovative teaching. A selection of images providing insight into America's involvement in WWI are to be shown as part of an exhibition in Houston, Texas, having been published by Dr Jonathan Rayner. Three of our PhD students have been uncovering the secret life of Chatsworth House staff and servants through their research on previously untouched letters and diaries. 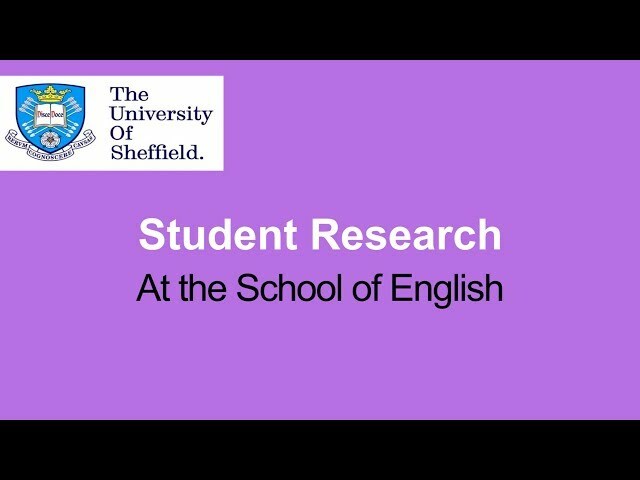 Learn about the many opportunities for student research available to you in the School of English. The unique structure of the School of English means that our researchers are doing cutting edge work on such wide-ranging disciplines as linguistics, literature, stylistics, and theatre, as well as innovate collaborations at the intersections of these fields. Staff and students in the School are extremely active in a range of interdisciplinary research centres that cross-cut the humanities, science, and technology. We are committed to making our research accessible to everyone, both in academia and the general public. Eligible publications from staff and students are all stored at the White Rose Research Online open access repository, so that you can easily find them!